The GoFlo screens company started with the acquisition of Western Renewables Energy by Renewables First in 2013. Western Renewables Energy had made a small number of travelling screens over a number a years for their own projects, and the screens had proved to be effective and reliable. The early versions were relatively small and although tough, wouldn’t cope with the extreme loads experienced by larger intakes in higher flow conditions. Renewables First developed the concept into a much more rugged design and for much larger intakes, and the result was the GoFlo screen. Case Study: Maximising the benefits of hydropower technology using innovative GoFlo Travelling Screen technology. Case Study: Kenningstock hydropower system with GoFlo Travelling Screen. 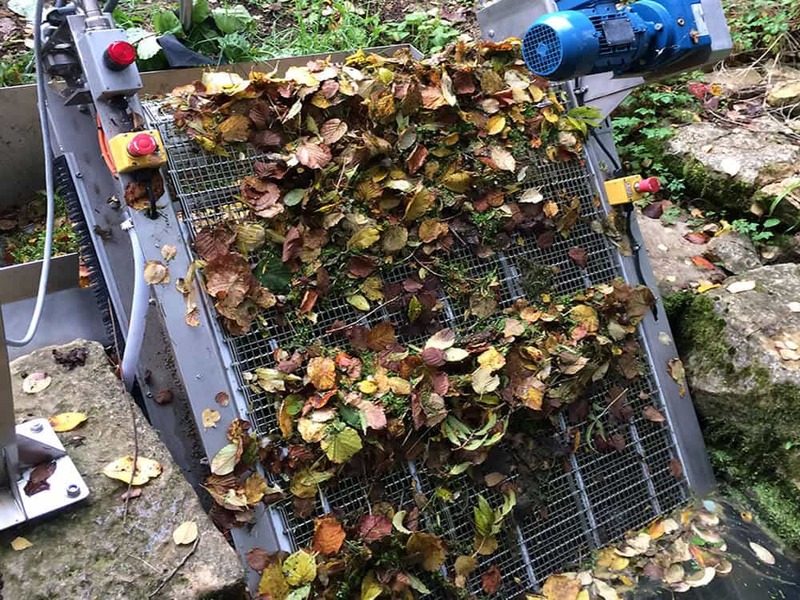 The GoFlo travelling screen is able to operate even in exceptional leaf fall and high abstraction conditions, greatly increasing the energy yield of the hydropower system, eliminating debris maintenance and increasing hydropower return on investment. You can find out more at www.gofloscreens.co.uk.